One of my best friends, Caroline, came to stay with me Thursday night and we had a big adventure planned for Friday. 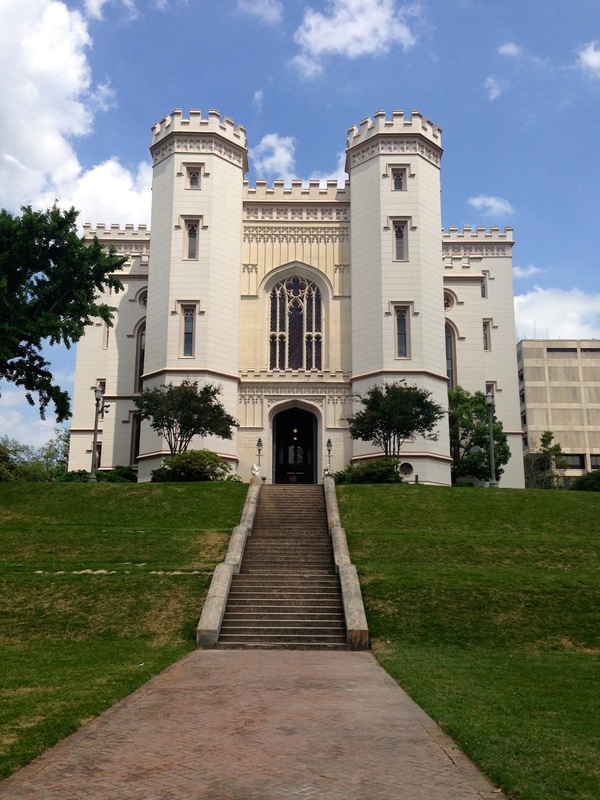 Friday morning we headed to the mall to hit up Lush, but after that we headed to what I like to call Baton Rouge Castle, but really it is the Old Capitol, which is now a political history museum. Nevertheless, it still looks like a castle to me. It was so much fun to finally visit something that I've been wanting to see for two years and I can't wait to go back. 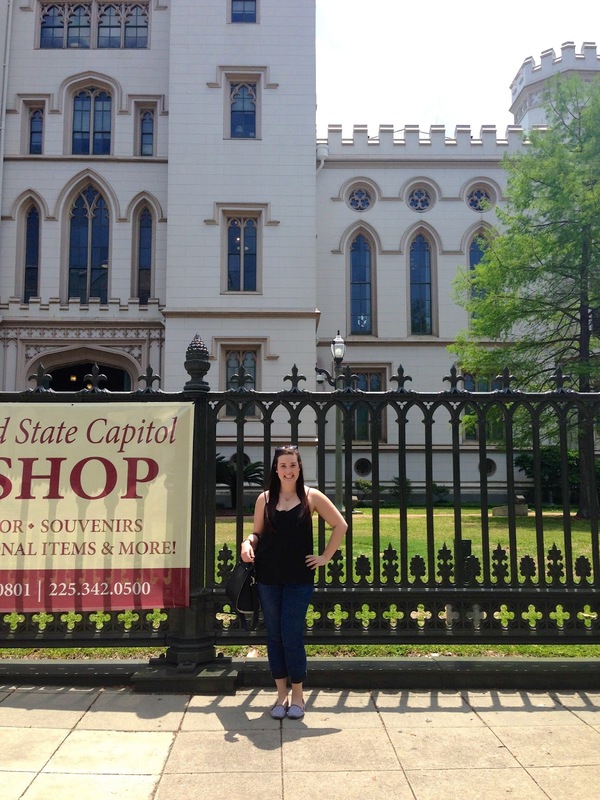 It was neat to see Baton Rouge as a tourist and political history is right up my street. 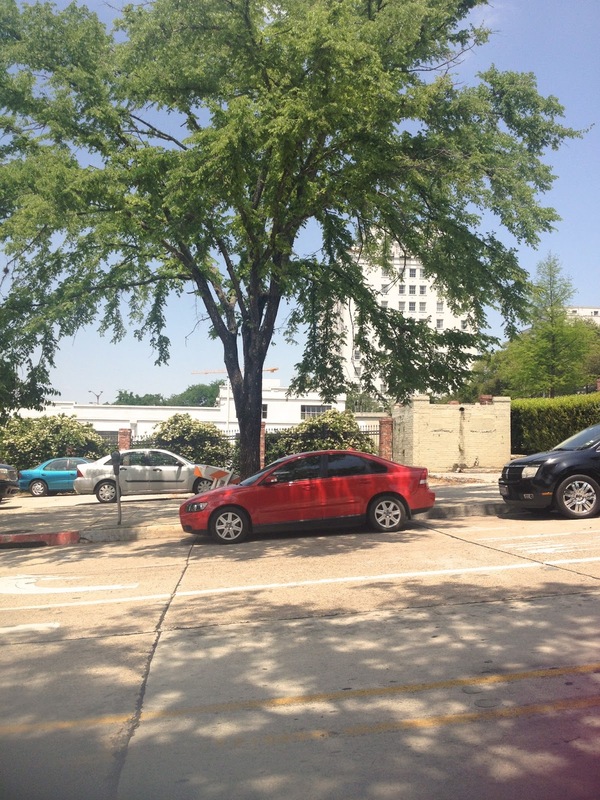 After having major troubles trying to navigate downtown's one way streets, we finally made it and I got princess parking in the shade. I was extremely chuffed. 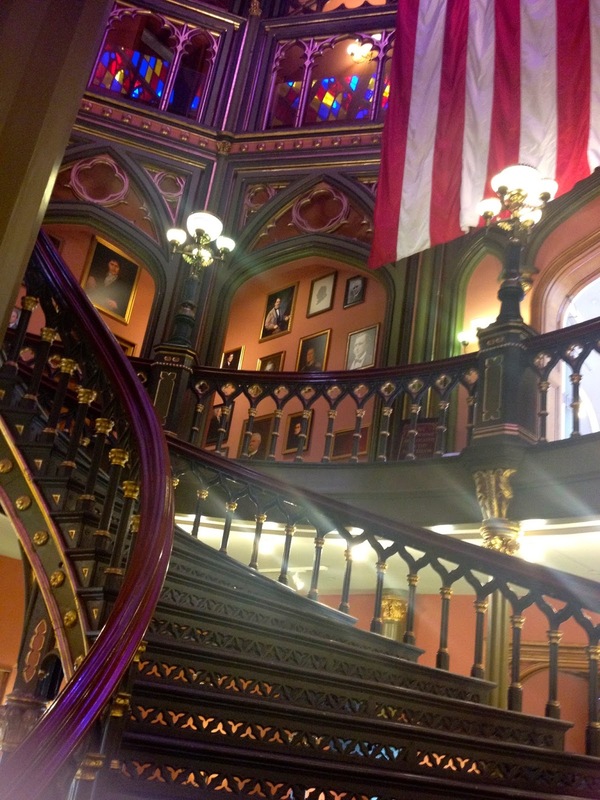 The view up the main staircase..oh my Lord, it is so gorgeous! 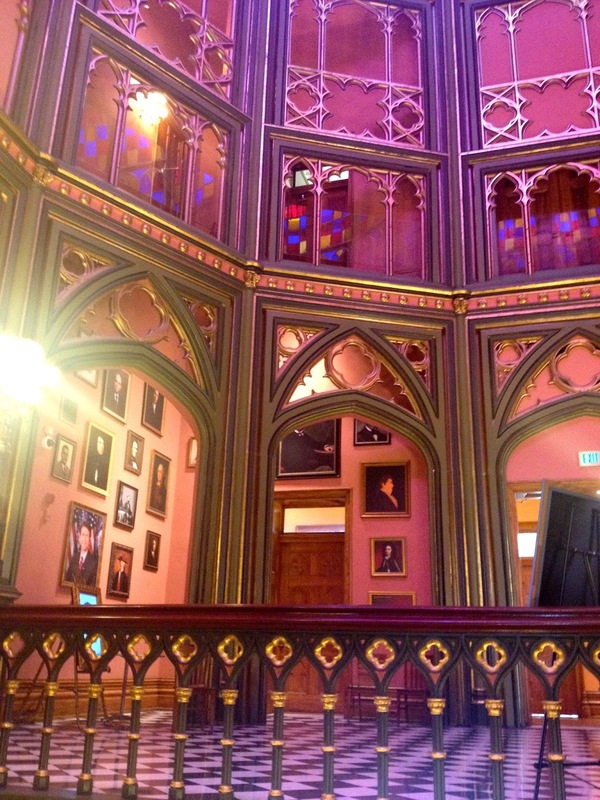 The 1882 House Chamber…think of the history here! 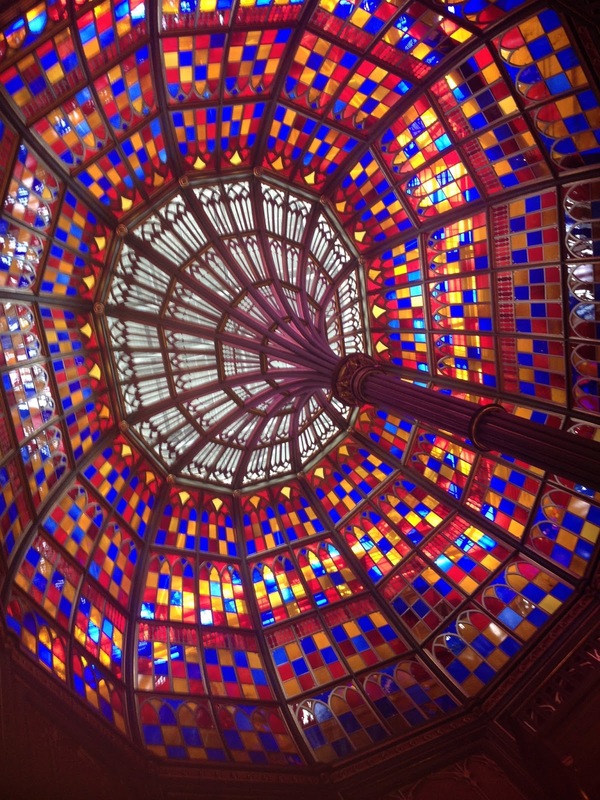 Oh yeah, the stained glass dome! The entire middle of the second floor is called the Hall of Governors. They have the portrait of every single governor to date and little screens that tell you facts about each one. Tres cool. 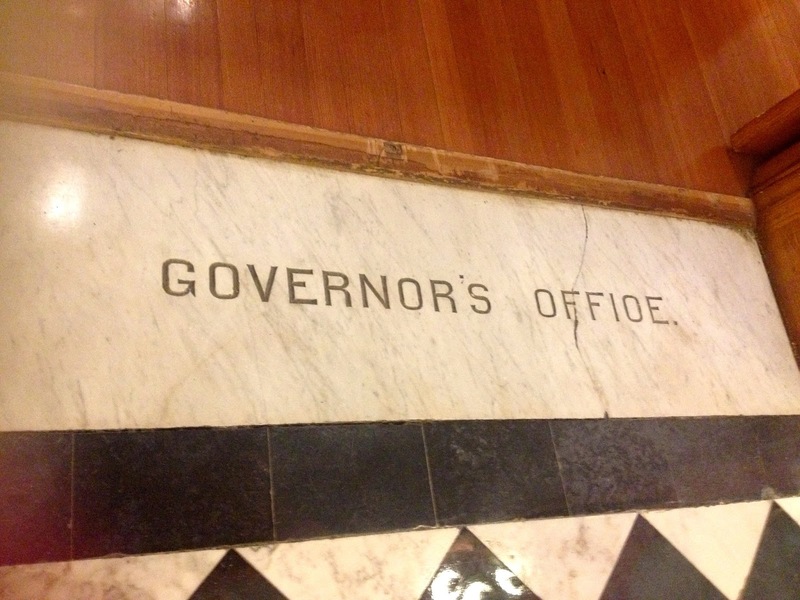 The old governor's office downstairs. My favorite democrat, Huey Long. 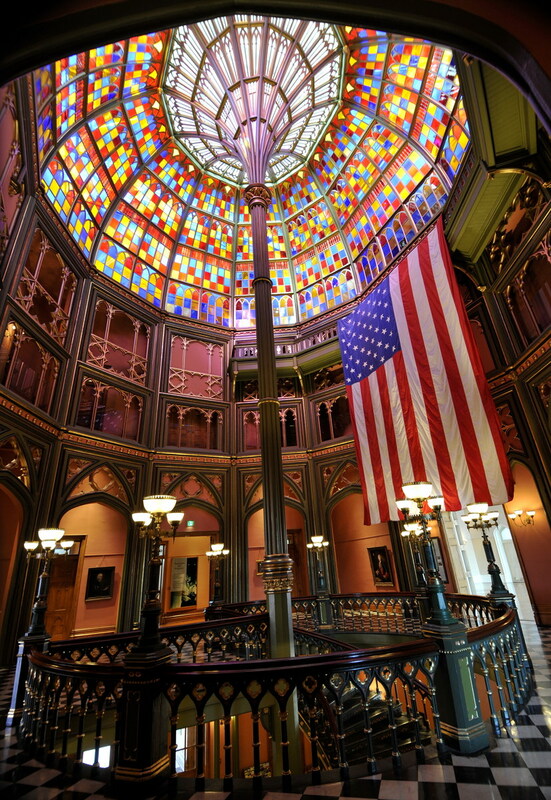 The view of the old capitol back when it was still in use as the state house. 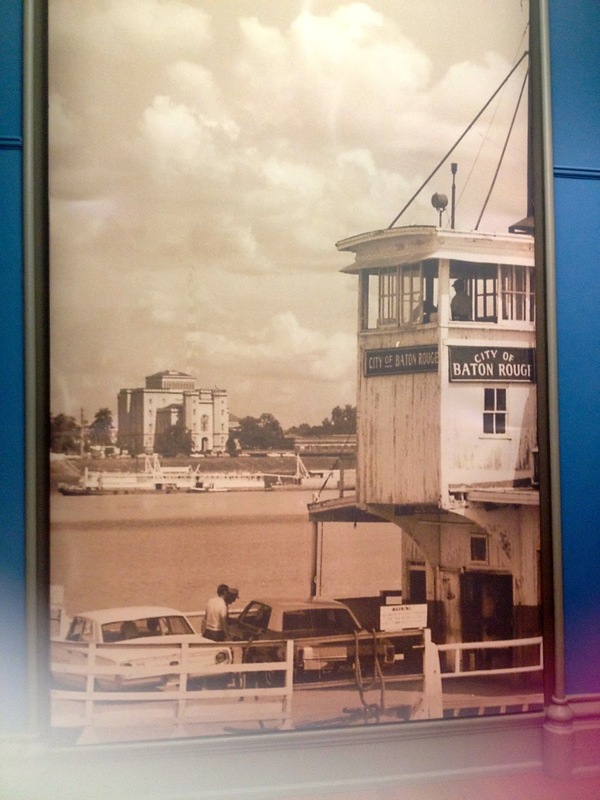 So cool to see Baton Rouge like this! 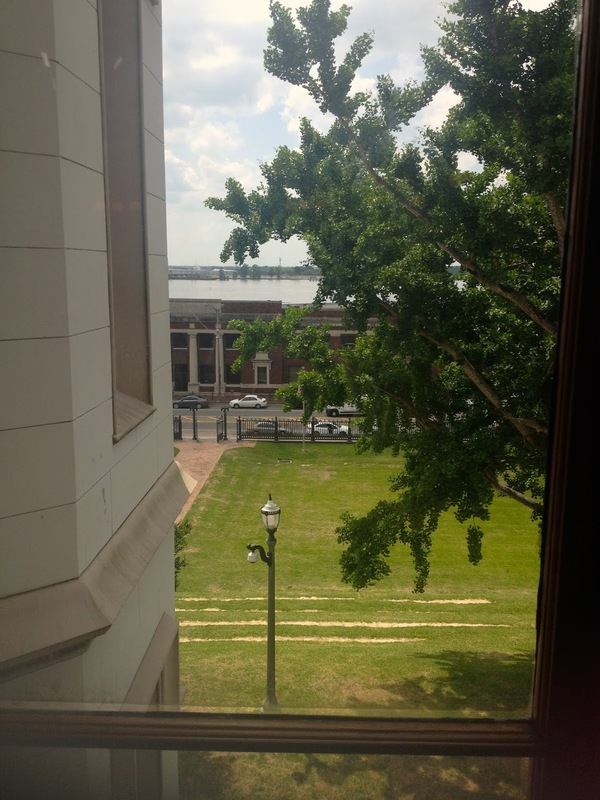 The view of the river from the House Chamber. It's crazy to think that nothing around the capitol used to be there and this used to be just a straight view to the river. GORGEOUS I TELL YOU. I am ready to move in. #idie. There were even people having picnics under the oaks. And one more view up the staircase because I'm obsessed! 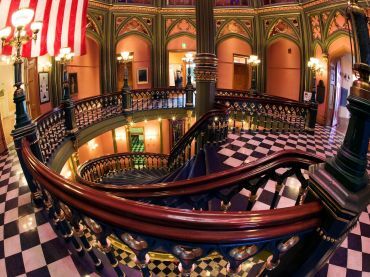 Here's a professional shot of the staircase and Hall of Governors just for you! Thanks Google. And just as an extra…this weekend we went to pick out another new pup who will be coming to live with us soon! 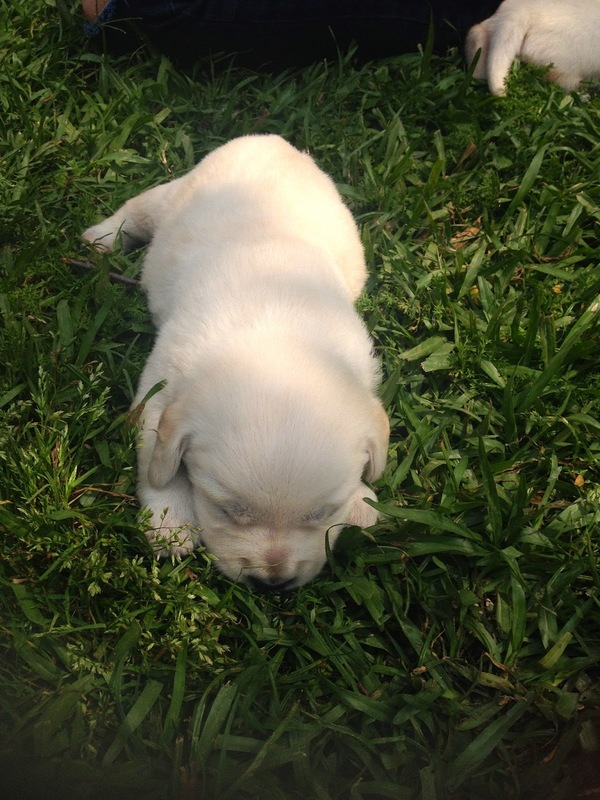 We got to choose between 2 white labs (both girls) and we get to take our pic home in about a month. Even though we just got Atticus, she was a surprise and we've been planning this pup for a while. I say, the more puppies the better, right? 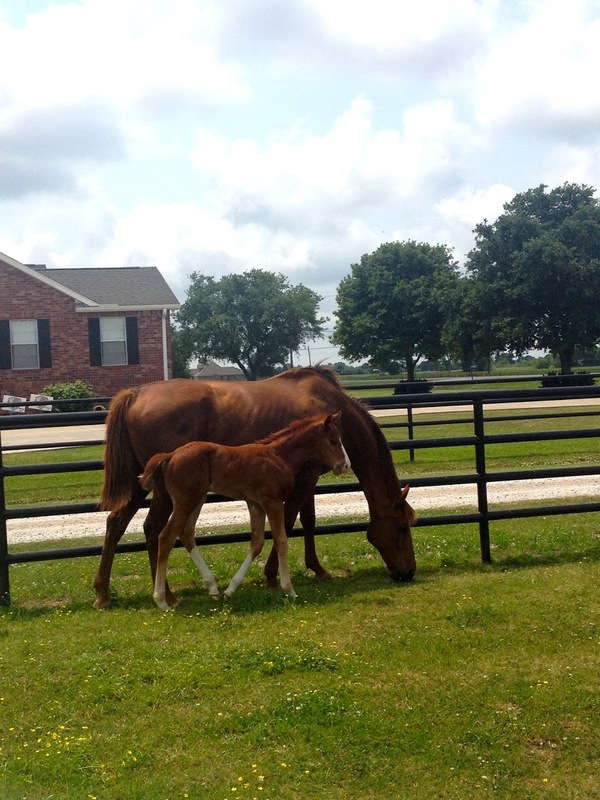 And then we also played with the new ponies for a while too! How was your weekend? What have y'all been up to? 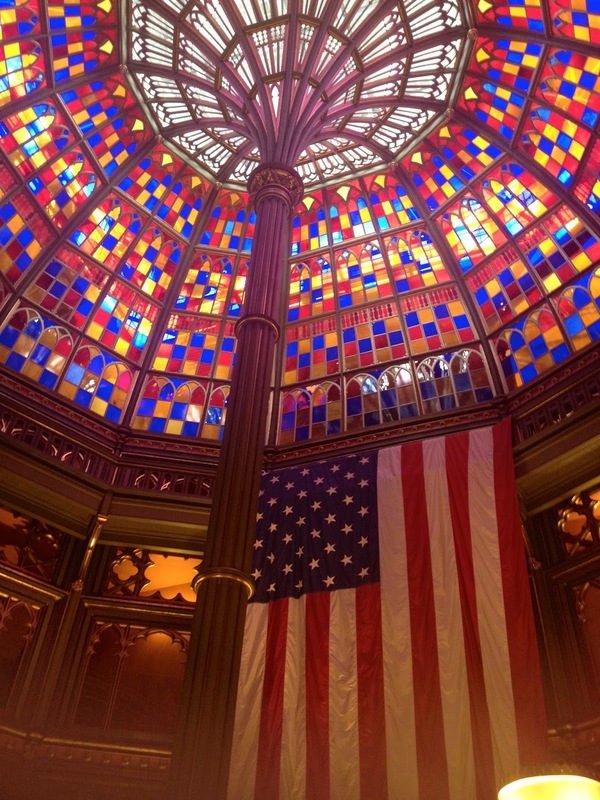 Wow that dome is stunning - what workmanship, I always love a bit of stained glass, always so beautiful. These pics are gorgeous!! 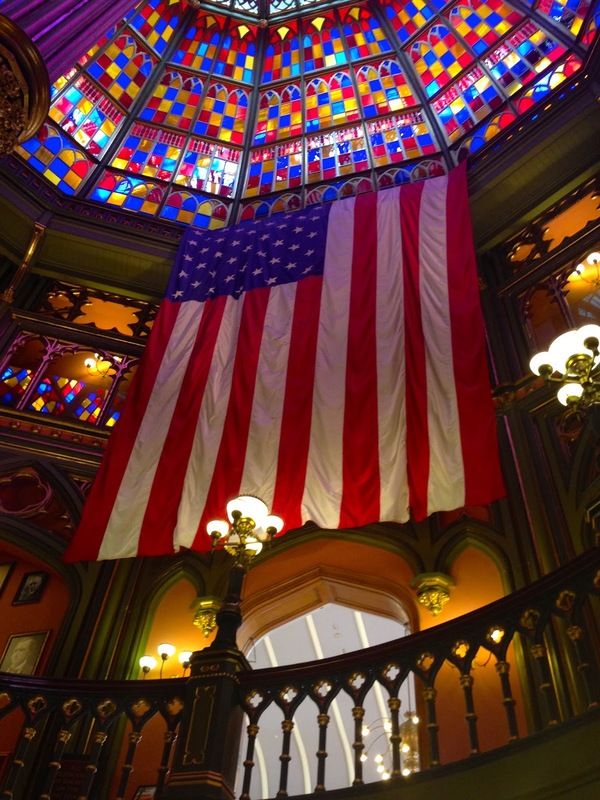 Especially the stained glass dome!